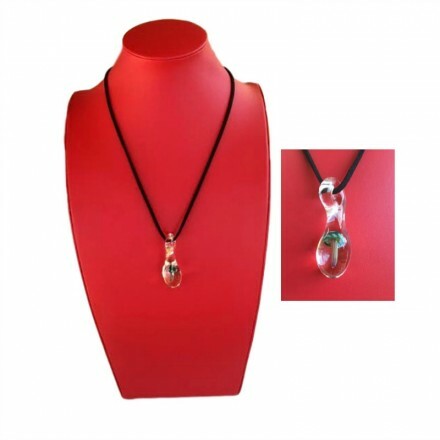 An unusual Tasmanian hand made glass pendant featuring a tiny glass toadstool within the droplet. Measures approximately 5cm in length by 2cm at widest. Threaded onto a suede string.